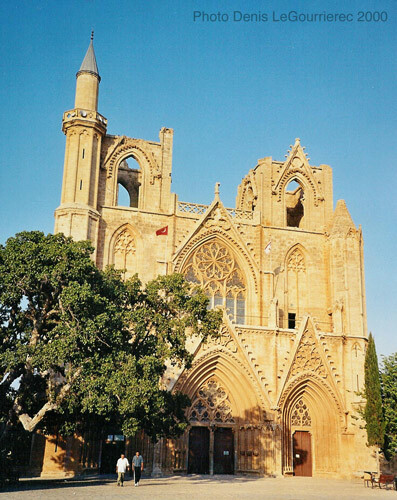 The history of Northern Cyprus began with the independence of a united Cyprus from British rule in 1960. 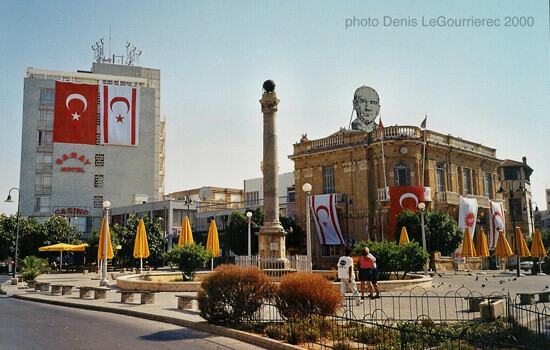 Over the years, tensions grew between the Greek and Turkish Cypriots. In 1974 the Greek Cypriots wing of the government created a policy aimed at a union with Greece. This triggered protests by Turkish Cypriots. The reprisal from the Greek Cypriot paramilitary, backed by the military junta ruling Greece at the time, was very violent. In response, the Turkish army invaded the north of the island. As a result, Cyprus was partitioned and the north subsequently declared its independence in 1983, although only Turkey has recognised it. 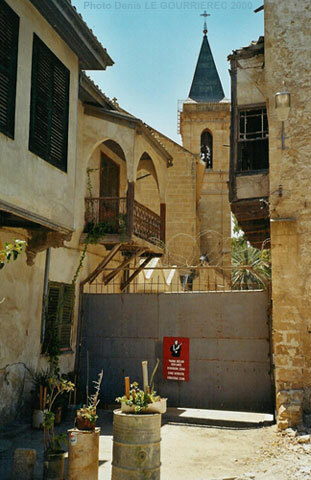 The church beyond this gate lies in the demilitarised zone between the Turkish Republic of North Cyprus (or KKTC, only recognised by Turkey) and greek populated Cyprus in the south. 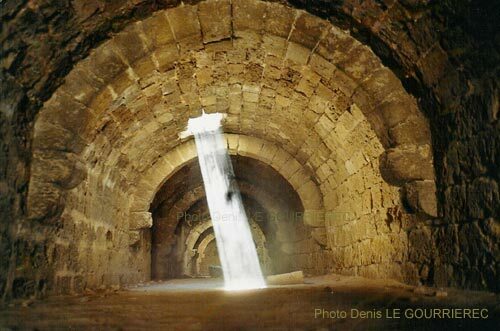 The capital of Cyprus is called Nicosia by the greeks in the south part, and Lefkosa by the turks in the north part. When I was there, it was not possible to travel from the KKTC to the south of the island. This island suffered a war between turks and the greeks, which led to partition, but but the two cypriot governments are now working towards better relations.